We have had a couple of events this week where we have taken the opportunity to look back with thanksgiving on the past year. You can listen to my brief reflection on the evening of New Year’s Eve here. But I wanted to note a few highlights from the year here in the hope that they might encourage us. As a church we have been talking about planting in Kidlington for at least fifteen years! However, it felt repeatedly as though the Lord closed the door. As a church we ended up launching Marston Neighbourhood Church in 2003 and then, more recently, contributed members to the launch of Wheatley Community Church. This time, though, the door has opened. A year ago we were just coming to the end of a viability study- did we have the group to do it, a venue to meet in, a heart for the village and so on? All of those ended up receiving positive responses. 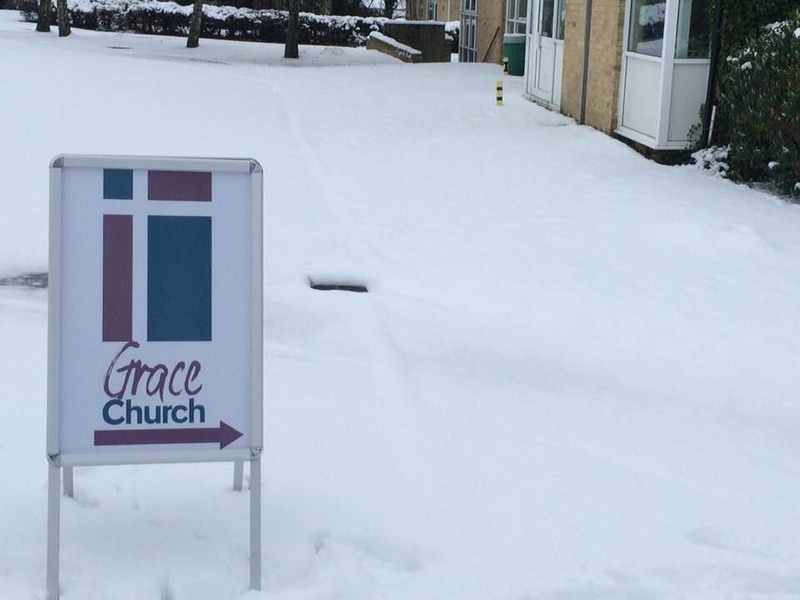 Grace Church Kidlington has now been meeting since September. I’ll write a further blog on progress over the last few months but, for now, I simply want to mark my thanksgiving that it exists! 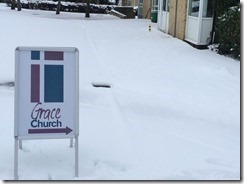 Kidlington was not the only Grace Church that encouraged me this year. Back in March I spoke at Grace Church Hartlepool. This is a recent church plant, launched by Scott and Cathy Thomson amongst others. Scott was a trainee with us five years ago. During that time I remember lots of conversations and prayers about their heart for Hartlepool. To see the church launched and being of real benefit to people was one of the highlights of my year. Slightly further afield, my Australian trip in the summer was fantastic. As well as sight seeing with family (apologies for the number of sermon illustrations this has provided…), it was fantastic to spend ten days with Andrew and Elf Dunstan, former members of Woody Road. They are proving a huge encouragement to their local church whilst Andrew teaches theology at Malyon College in Brisbane. The nature of church life in Oxford is that we lose people quite frequently. Though personally painful, that can be an opportunity. I was hugely encouraged by seeing the contributions four former members of Woody Road are making around the world. More good friends moved on this year for pastures new. My colleagues on the staff team will remember that left me for several months in close to a blind panic about our youth work! For the last few years our Friday night youth groups have been a real encouragement- with young people from the church growing and being baptised as well as friends from school being invited along. Alan and Hannah Lewis were our key leaders in running that so effectively across several years and their departure to the States was not entirely welcome! However, I am so grateful for the Lord’s provision of another group of leaders who love the young people and work exceptionally hard. The groups haven’t taken a backward step. There continues to be a buzz about the place on Friday night with a great mixture of young people from church families and outside the church enjoying time together and studying God’s Word. We have always aimed to be a multi-generational church. We want different ages to learn from each other and show the power of the Gospel by being united across generations. An average Sunday service or even a homegroup (mine had three generations in it last night) would reveal that. Alongside that, though, I think we have seen some delightful peer groups emerge over the past few years with a real intention to support each other spiritually. I am conscious of that amongst our young people where they seem naturally to pray together, encourage each other in Christian Unions and so on. At the other end of the age range, our “senior friends” in our CAMEO group are a huge blessing to the church. They are still so eager to grow. Apparently the weekly Bible Study on Hebrews made up entirely of those who are 70+ has been a source of great help for them. There have been baptisms this year. We have seen one or two people become Christians. Praise God! A recognition that we hadn’t always been great at integrating new members led to our inaugural membership course with fifteen on it. Amongst them were Alan and Hazel. Their wedding was the happiest and craziest moment of the year as, for the first time, we held it in the middle of a Sunday morning service. I was jet lagged, having just got back from Australia, but even I could recognise the somewhat incongruous sight of the first four rows being made up of those who had primarily come for the wedding in suits and hats with the back rows populated by those who had come for the service on a hot summer day in T-shirt and shorts. But I remember the reason Alan and Hazel gave for wanting it done that way. They said that the church had had such an impact on their lives over the last few years that they very much wanted to get married in the company of the church and Sunday morning was the obvious time to do that. It led to a very special time. It has been a very active year. But it would be wrong to suggest that is the essence of who we are. We started 2017 in Isaiah 6. We saw Isaiah meeting the Lord in a vision of the temple- the God who is so holy that it leads to a cry of “Woe” and who is willing and able to cleanse from sin. Every time we gather as God’s people we meet in the presence of that same God. The sermon I most appreciated the opportunity to preach this year was from Solomon’s building of the temple in 1 Kings. The temple was a place to meet with God, worthy of the purest gold being lavished on it. Solomon’s temple was a picture that pointed ahead to Jesus, the church and the new creation in different ways. That means our gatherings as a church are hugely important. We meet with an awesome God. I think there are times this year when we have known that acutely and for which I am grateful. So there are six highlights from 2017 for which we are deeply thankful to God. There is plenty I could have mentioned- we continue to know a strong sense of unity, we have had the ongoing privilege of partnering with work around the world, our financial needs have been met, church members continue to persevere through hardship and much else besides. Praise God. We don’t take such blessings for granted. It is why we have our week of prayer next week. And we come to that, both thankful and hungry for more. Oh for more people to become Christians in 2018. Oh for a deeper sense of the Lord’s presence amongst us. But for now, we thank God for all that He did for us as a church last year.